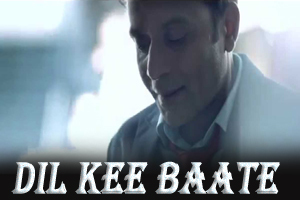 Hindi Lyrics 4 U: Lyrics Of "Dil Kee Baate" From Latest Album - Dil Ki Baatein (2015). Lyrics Of "Dil Kee Baate" From Latest Album - Dil Ki Baatein (2015). A heart touching love song in the voice of Shael Oswal, music composed by Vidyut Goswami while lyrics are penned by Vimal Kashyap. The video of this song is available on YouTube at the official channel Shael Oswal. This video is of 6 minutes 05 seconds duration. Lyrics of "Dil Kee Baate"
Lyrics in Hindi (Unicode) of "दिल की बाते"